The MSE Equity Price Index eased by 0.35% on Wednesday to 4,475.608 points after reaching its highest level in five weeks on Tuesday. Overall, the declines in HSBC, MIA and MIDI outweighed the gains in Plaza Centres while a further five shares ended unchanged. Trading activity continued to improve on the back of heightened volumes in MIA. Malta International Airport plc lost 1.5% to the €6.40 level on strong volumes totalling 84,743 shares having a market value of €0.54 million. The airport operator will be publishing its 2018 financial results on February 20. A single deal of just 5,939 shares forced the equity of HSBC Bank Malta plc to drop by 0.6% to a five-month low of €1.71. HSBC is due to publish its 2018 financial results on February 19. The other negative performing equity on Wednesday was MIDI plc as it shed 3% back to the €0.64 level on low volumes of 5,000 shares. 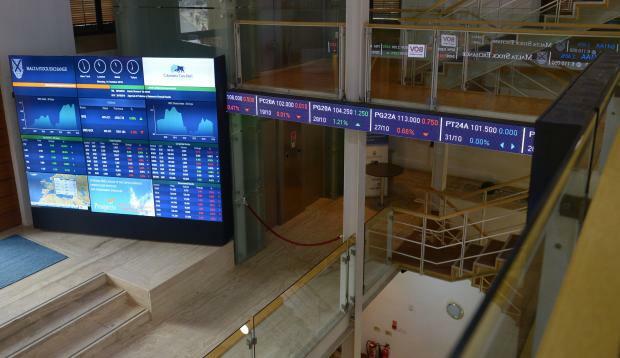 In contrast, Plaza Centres plc regained the €1.02 level (+2%) across 8,000 shares. Meanwhile, Bank of Valletta plc (10,940 shares) and FIMBank plc (8,440 shares) traded flat at €1.28 and $0.70 respectively. FIMBank is due to publish its 2018 annual financial results on March 23.
International Hotel Investments plc opened at a low of €0.625 (-0.8%) before recovering to close unchanged at the €0.63 level. A total of 12,743 shares changed hands. A single deal of 8,439 shares left the equity of PG plc at the €1.37 level while GO plc retained the €4.32 level on trivial volumes. Following the declines registered in the previous two days, the RF MGS Index edged 0.02% higher to 1,103.193 points today. Sovereign bond yields in the eurozone trended mostly lower, possibly driven down by very disappointing industrial production data which in December 2018 registered the sharpest drop in nine years.